Come and get fit and have fun at our Park Prescription’s Run and Walk Boot Camp! Kids, teens, and adults are welcome. 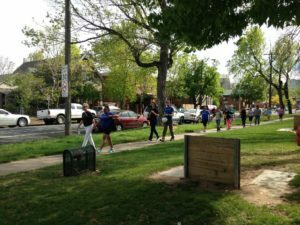 Meeting near the Fitness Zone in Mestizo-Curtis Park, you’ll have the opportunity to participate in an intense walk with your neighbors and fellow community members. For more information, contact Sandy Douglas at 720 621-4912 or email Sandy@GroundworkColorado.org.